Thomas Middleton (1580-1627), a bricklayer's son, rose to become one of the most eminent playwrights of the Jacobean period. Along with Ben Johnson he helped shape the dynamic course of drama in Renaissance England. His range is broad, as his work successfully covers comedy, tragedy, and history. Praised during his life as well as today, Middleton remains relevant and influential. 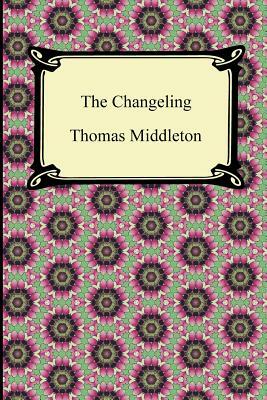 "The Changeling" (1630) was composed with the aid of Middleton's friend William Rowley, also an established playwright. The drama tells of the destructive powers of vice and lust. Beatrice-Joanna is a young woman betrothed to Alonzo de Piracquo, yet Beatrice-Joanna is truly in love with another-the nobleman Alsemero. Beatrice-Joanna uses manipulative and violent means to rid herself of her suitor Alsemero. The ensuing drama results in a catastrophic tragedy, leaving only a few to contemplate justice and passion. The characters, style, and action of "The Changeling" effortlessly come together, making it one of the greatest tragedies of its time.